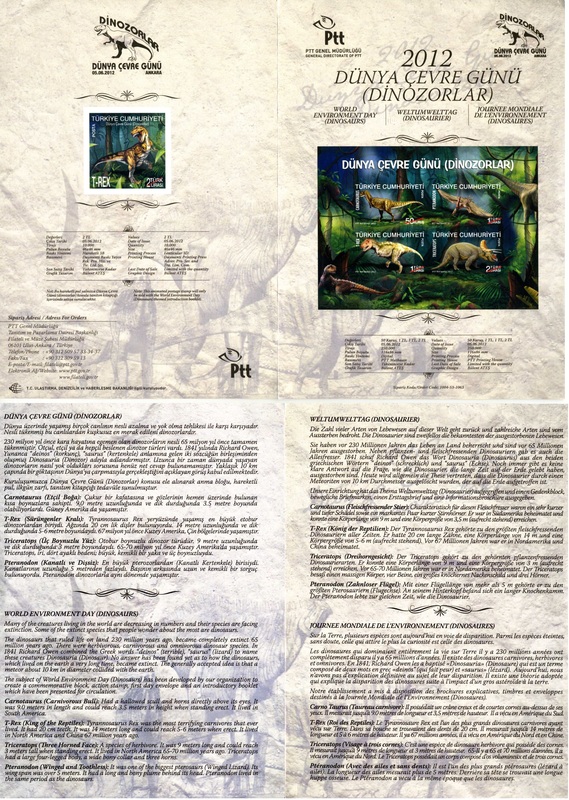 Turkey 2012 "World environment day (Dinosaurs)"
The subject of World Environment Day (Dinosaurs) has been devoted by Turkish Post Authority (PTT) to create a commemortaive block of 4 mint stamps and introductory booklet with plastic, hologram stamp inside which have been presented for circulation. Even though the plastic stamp is sold inside of a booklet it can be used for postal purpose as any other regular stamp. 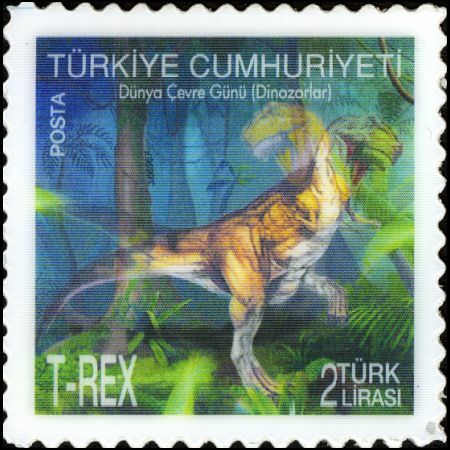 The dinosaur on the stamp is T-Rex - Tyrannosaurus Rex was the most terrifying carnivorous that ever lived. It had 20 cm teeth. It was 14 meter long and could reach 5-6 meters when erect. 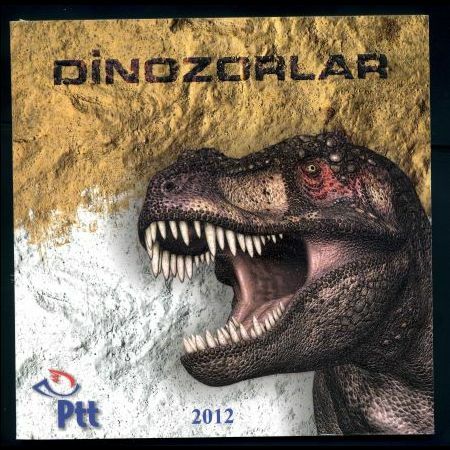 It lived in Nirth America and China 67 millions years ago. 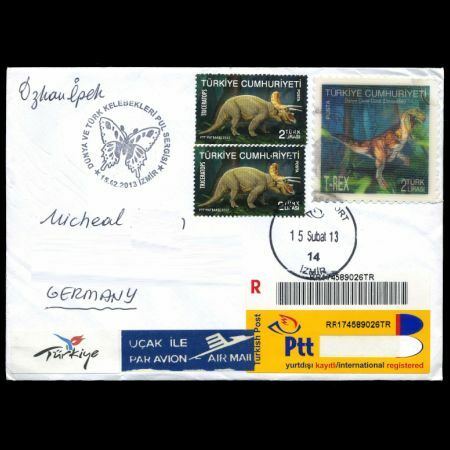 Acknowledgement: Many thanks to fellow stamp collector Özkan Ipek from Turkey, for his help to find some some information about these stamps and nice covers he made and sent to me.